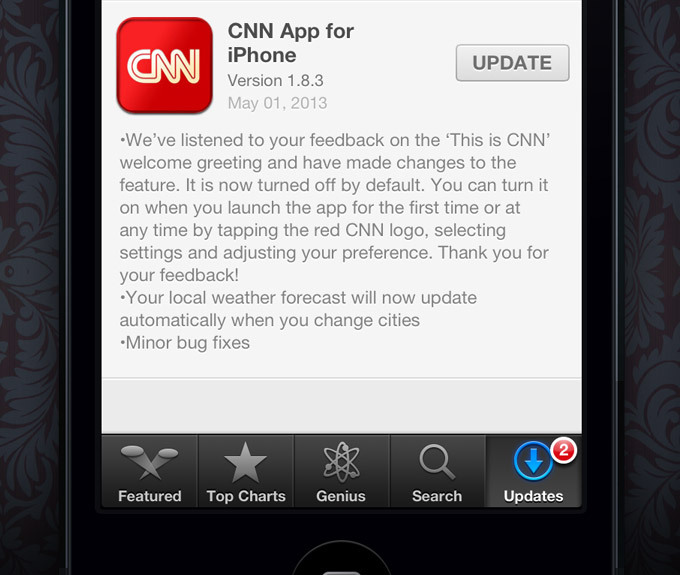 A case in point, CNN’s updated app for iPhone. An experience that is far more delightful then the web experience. One that also took some risks with changes not only to it’s visual design – but to it’s core navigational functions as well. 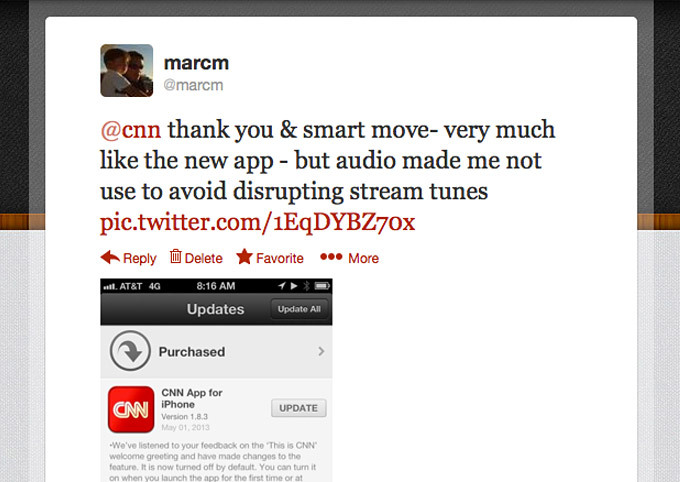 (Much of which I have grown to like as I use it more) That is to say, until a release about 2 months ago that included an audio intro that would say “This is CNN” each time I launched the app. A seemingly gratuitous branding element right? Not so much. You see, I am a news junkie who likes to read & listen to music during my commute. My typical use case begins as I walk away from my office. I start by streaming some tunes followed by a process of loading content from a variety of news and social sources so that I have plenty to read during my train ride to or from work. The walk from work to the train station is relatively short. Soon after I head out, I quickly take stairs underground to catch a train. So you can imagine my frustration when I then load CNN only to have it cut my streaming music for the sole purpose of being reminded of what I just clicked on with my thumb! To be clear… this is TRULY a first world problem! God forbid that I am limited to the selection of music that I store on my device itself. But the point remains that this gratuitous little sound bite takes away from an otherwise positive user experience. It is not simply annoying. A bad user experience was changing my usage behavior. Not because of a lack of desire to use, but determined by weather or not I had timed it properly. As seen above, there were numerous occasions where I would broadcast my frustrations. However, rather then to simply say that I hate it!!! In each comment, I tried to provide context as to what made the issue annoying. Others clearly had similar issues and likely shared their own perspective. Shortly after they deployed this, CNN did seem to both hear and respond to their users. The audio intro is now and option that is off by default. My point is not at all to suggest that every user issue or complaint could, should or would be addressed… However, it does illustrate that contextual feedback DOES matter and most certainly can make a difference. 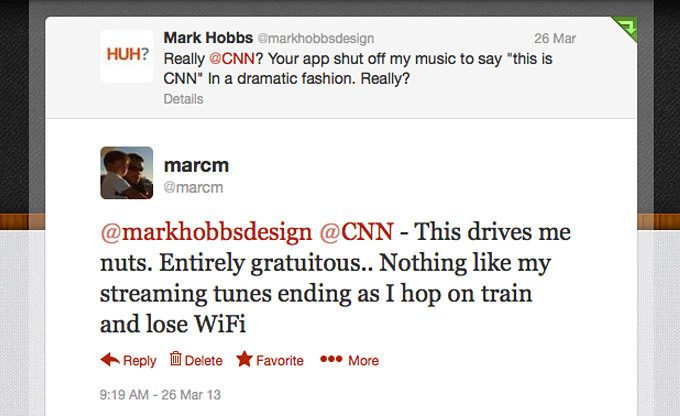 Thank you @CNN - this is one user who knows who you are… and greatly prefers you when not being reminded by an audio intro!